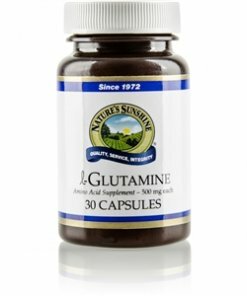 Nature’s Sunshine l-Glutamine supports brain function. L-glutamine, an amino acid, provides energy to the brain by encouraging cellular growth, cellular energy, and cellular repair. This essential amino acid also supports the immune system, the digestive tract, and muscle health. 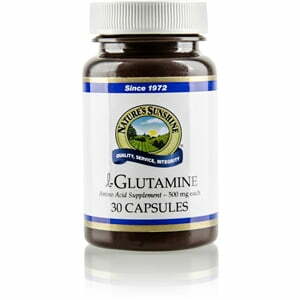 Nature’s Sunshine l-Glutamine comes in 500 mg capsules.